Now playing in select theaters. Coming to Prime Video March 22. Nominated for 3 Academy Awards including Best Director, comes a passionate love story between two people of different backgrounds, who are fatefully mismatched and yet condemned to each other. Set against the background of the Cold War in the 1950s, the film depicts an impossible love story in impossible times. Unattainable want harms profoundly, scars for all time and like in “Casablanca,” “Energetic Friends” and incalculable others, makes for some of film history’s most swoon-commendable accounts of enthusiasm. A throbbing film on such wonderful torments of outlandish love, Paweł Pawlikowski’s “Cool War” simultaneously swells your heart and breaks it, much the same as the sore memory of a darling that floated away from your life, or a seriously ached for kiss that never was. It’s a story with the makings of unbelievable adventures, following the association and separation (and association and separation over and over) of Wiktor and Zula, a traditionally lovely couple from the contrary sides of the tracks. They initially meet somewhere down in the feeble wide open of the post-World War II Poland. They trade suggestive looks and set out on a stormy undertaking that unfortunately develops more than two detaching decades and various unsympathetic regions crosswise over Europe. While imperishable and all inclusive, “Cold War” originates from a profoundly close to home spot for Pawlikowski—Wiktor and Zula depend on and named after Pawlikowski’s own folks, who (as the movie producer transparently voices in each meeting) had their very own thundery relationship fight that extended more than four decades. In this artistically dense, casually long winded adaptation (snazzy and rowdy like a portion of the film’s music), the alluring team is played by the striking Tomasz Kot and the monstrously skilled on-screen character/artist Joanna Kulig; a moment, Marilyn-Monroe-meets-Liv Ullmann-esque vision. A modern conductor and musicologist going through Poland with his maker Irena (Agata Kulesza) and recording society tunes with the expectations of reintroducing their radiant songs, Wiktor tryouts a great many talents for the choral troupe he is entrusted to make. It’s amid one of those tiring sessions that the searing Zula enters the image. She sings well; she says she can undoubtedly figure out how to move and in what may be a con to leave an enduring impression, claims she once wounded her damaging dad lethally. Succumbing to her certainty and violent soul quickly, Wiktor initiates her. What’s more, the unthinkable deterrents present themselves instantly once their issue takes off vigorously. Nostalgically shot in sterling high contrast and the square shaped Academy angle proportion by cinematographer Lukasz Zal (like Pawlikowski’s “Ida,’ an appalling investigation of the draw of character), “Cold War” is extremely a film about the hardships of living estranged abroad. In that, the starry-looked at Wiktor and the solidified Zula make and break guarantees, support and sell out one another, and both forsake and reassume personalities to endure wherever life takes them inside or on the opposite side of the Iron Curtain. Their concise delight while voyaging and making music together gets cut off when Zula doesn’t turn up for their heedlessly arranged getaway from Poland. When they meet years after the fact in the cobblestone roads of Paris and restore their inconceivable sentiment in the smoky corners of jazz clubs loaded up with snooty scholarly people who look down on Zula, their odyssey takes a much increasingly incomprehensible turn: Zula plays up her national pride—a type of self-protection any worker will identify with. She can never again stand the agreeable, distancing man Wiktor has progressed toward becoming. But then, their adoration for one another never passes on; it rather takes on restored shapes and structures. Expertly interlacing the authentic canvas of the ’50s and ’60s and the period’s music into the sweethearts’ undertaking (this is one soundtrack you will rapidly need to get your hands on), Pawlikowski (alongside his co-journalists Janusz Głowacki and Piotr Borkowski) the two distinctions and endeavors to comprehend his folks’ disorderly harmony. However, the greater part of all, he hits an ageless realistic nerve that throbs with euphoric verve. 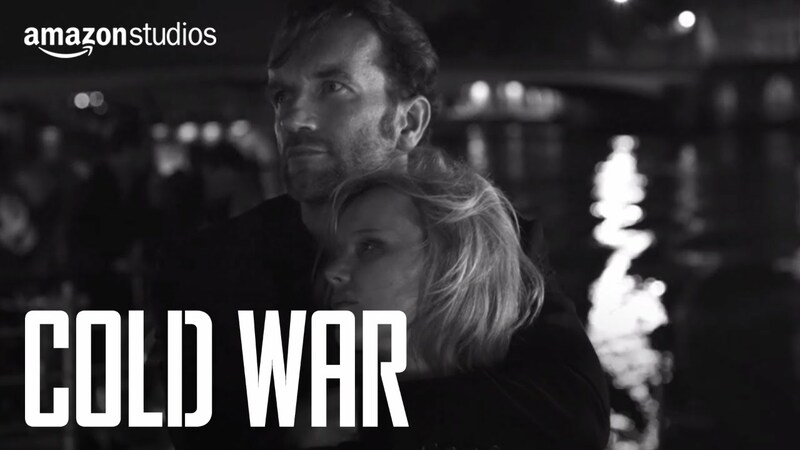 The terrible longing in the incomprehensibly hot “Cold War” is palpable to the point that it makes you feel grateful to be invigorated with human sentiments, heartbreaks of the past be cursed. With a splendidly distinct visual tasteful to coordinate its lean story, Cold War doesn’t squander a snapshot of its concise running time – and doesn’t hold back on its self-contradicting enthusiastic effect.